IZMIR, TURKEY – Tomatoes are known to be rich in antioxidants such as vitamin C, lycopene, β-carotene, and phenolics. Antioxidants, substances capable of delaying or inhibiting oxidation processes caused by free radicals, are of interest to consumers for their health-related contributions, and to plant breeders for their ability to provide plants with natural resistance to biotic and abiotic stresses. While tomato domestication and breeding programs have typically focused on traits such as fruit weight, color, shape, and disease resistance, scientists are now looking at ways to develop tomato cultivars that boast higher antioxidant traits. Plant breeders know that the best source for improvement of a crop plant is often its wild species. Wild species retain allelic (trait) diversity, which is lost during domestication and breeding. To date, wild tomato species have been widely used for improvement of tomato disease resistance, but have not been extensively explored for health-related traits. Scientists from the Department of Molecular Biology and Genetics at Izmir Institute of Technology in Turkey published a unique study in HortScience that compared antioxidant traits for wild tomatoes with those of cultivated varieties. 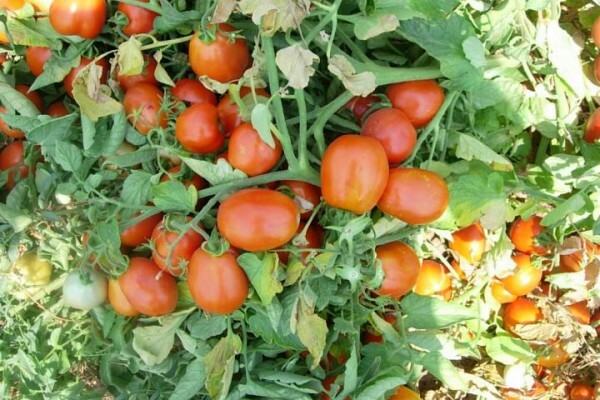 Their results, they say, can be used to design a breeding program with the purpose of improving antioxidant characteristics in elite tomato lines. A research team led by Professor Sami Doğanlar analyzed three different interspecific populations of Solanum peruvianum, Solanum habrochaites, and Solanam pimpinellifolium for antioxidant and agronomic traits. They tested each population for total water-soluble antioxidant activity, phenolic content, fruit weight, fruit shape, fruit color, and vitamin C content. "Our analyses showed that the Solanum habrochaites population provided the best starting material for improvement of water-soluble antioxidant activity and phenolics content with 20% and 15% of the population, respectively, significantly exceeding the parental values for these traits," the scientists wrote. The Solanum habrochaites population also contained individuals that had nearly 2-fold more water-soluble antioxidant activity and phenolic content than cultivated tomato. The Solanum peruvianum population was determined to be best for improvement of vitamin C content, with 3-fold variation for the trait and individuals, which had twice as much vitamin C as cultivated tomato. "Our work shows that wild tomato species harbor alleles that could be useful for improvement of antioxidant traits in cultivated tomato," Doğanlar noted. "In fact, some of the backcross progeny from the populations used in this study could be used for breeding of these traits. Molecular barcodes for Erkence "Hurma"